This competition is the only event at Falcon College where every single boy participates. 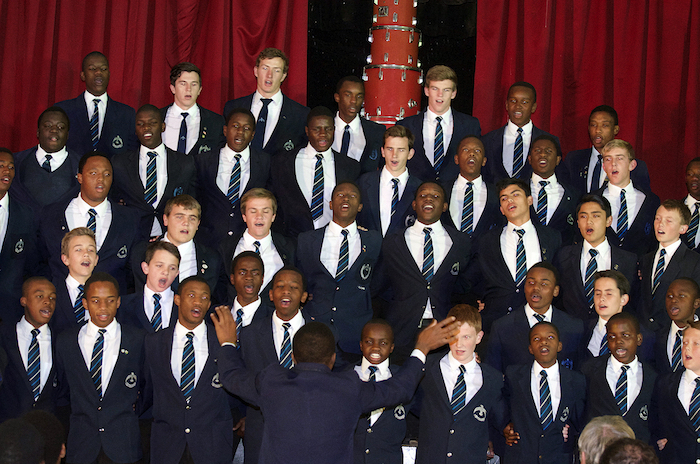 Each year the Inter-House Singing Competition seems to become more popular and last year the Turner Hall was filled to capacity with 250 guests attending the performance. The competition was established 21 years ago, when Falcon celebrated their 40th anniversary. All six houses battle it out for the Galloway Trophy and the boys take this competition very seriously. The houses perform two songs each. The first is a ‘set song’ and the second a ‘choice song’. Last year our Headmaster, Mr R. Querl wrote a foreword where he explained how this festival gives all participants a fantastic opportunity to get ‘a little bit extra’ and how this opportunity allows for the appreciation and understanding of Literature, Art and Music, in all its forms. He went on to say that it is an addition to one’s education in becoming the ‘whole person’. It began when, with three teaching friends, I expressed a desire to be able to gather together students from all the various areas of education in Zimbabwe for a gathering of like-minded students interested in the arts, so that they could realise that there is a connection between them and learn from each other. The first weekend was planned with this in mind and we tried to keep this mix since the arts should know no borders. When I came to teach at Falcon and mooted the idea, Neil Todd was extremely supportive, and so I began to plan with the help of Linda Moss and teachers interested in cultural activities. The first Cultural Weekend took place in February 1994, Falcon College’s 40th anniversary, and while not perfect, it was a huge success. Over the next few years, with the input of the schools involved and students and facilitators who attended, it was honed and polished and became an exciting opportunity for a cultural experience for as many students as we could gather together at Falcon. Originally, we thought that we would move to different venues each year, but after the success of the first weekend, we became possessive of ‘our baby’ and Falcon is a perfect place for such a weekend. We decided on six workshops with one student per school per workshop and six places for Falcon students in each workshop. We listed the cultural activities we felt would be important: art, drama, music, writing, public speaking and a slot for a different one each year. We also introduced the street theatre, which with all its different parts, was a triumph. 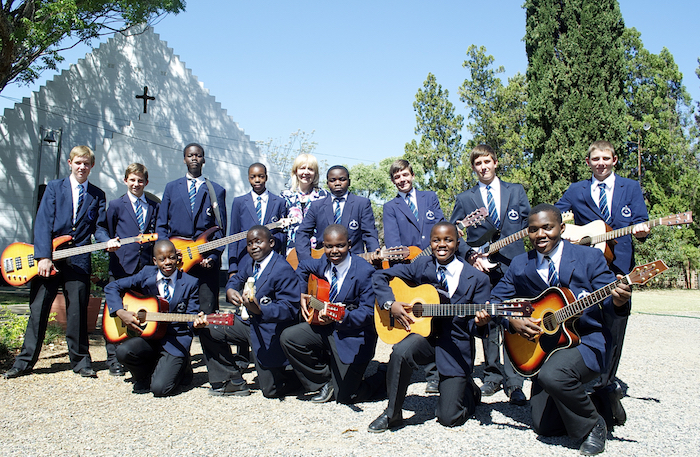 The Cultural Weekend became a fixture on many schools’ calendars, surviving the fuel shortages and changes in the dollar.